'BIRTHDAY!' 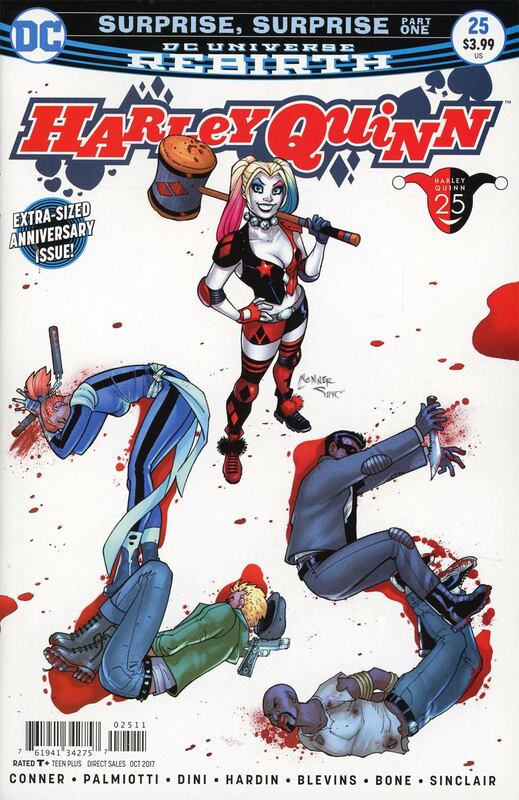 It's an oversize anniversary issue as Harley's entire cast of crazy characters comes together to celebrate the birthday of cyborg senior citizen Sy Borgman? but is there actually a bigger secret behind this gathering? And in 'Harley Loves Joker' part nine, Harley's spent a fortune building out The Joker Gang's new hideout, and now they're gonna have to take drastic measures to pay the bill!